KitGuru published an interview with XFX sales VP Cy Brown, you can read it over here. While Hong Kong based Pine Group might not be a familiar name to us, the graphics company it created in 2002 is an all too familiar name in graphics card shoot-outs around the world. 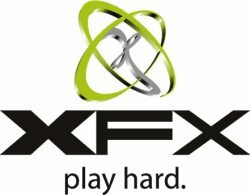 XFX is a serious player in a very competitive market. Against a backdrop of a tough economic environment and global political upheaval, XFX has been doing the business. And doing it well. KitGuru is prepared to blame Sales VP, Cy Brown.